Jon is best known for being on of the UK's best impressionists. The star of the award winning, hit TV show Dead Ringers, is seen to many as Britain's best impressionist. Jon Culshaw's repertoire includes over 350 individuals, ranging from Ozzy Osborne, to Dale Winton, to Russel Crowe. His impressions have been seen on a host of TV shows, starting with Spitting Image, and going on to appear in shows such as The Policeman's Ball, Alter Ego, and Jon Culshaw's Commercial Breakdown. Jon Culshaw is regarded by many as the best impressionist in the UK. With a repertoire of over 350 impressions he is well known to TV viewers for shows such as the award winning Dead Ringers, Jon Culshaw’s Commercial Breakdown, Countdown to the Comedy Awards, The Secret Policeman’s Ball, Alter Ego and Spitting Image where he provided the voices to over forty characters. In 2009 Jon joined forces with Debra Stephenson to film a prime-time sketch series for BBC 1 – The Impressions Show with Culshaw and Stephenson. They are currently filming a second series which will broadcast on BBC1 this Autumn. Dead Ringers was originally transmitted on Radio 4 before transferring to television where it won the Best Political Satire Award at the Political Studies Association Awards. On radio it won the British Comedy Award for 'Best Radio Comedy', the Sony Gold Radio Academy Award and the Broadcasting Press Guild Award for 'Best Radio Programme'. Jon’s other radio credits include The Now Show, It's Been a Bad Week, a regular guest on the Chris Moyles Breakfast Show, BBC Radio 4’s Secret World as well as guest presenting for Virgin Radio. The unique format of Alter Ego was commissioned by ITV and enjoyed three specials. This was Jon's own impression show in which he interviewed celebrities as themselves. As part of Children in Need, Jon was honoured to take part in a sketch as Ozzy Osbourne along with the real Ozzy. As well as confusing the audience, at one point even Sharon Osbourne was unsure as to which of the Ozzy’s was her husband! 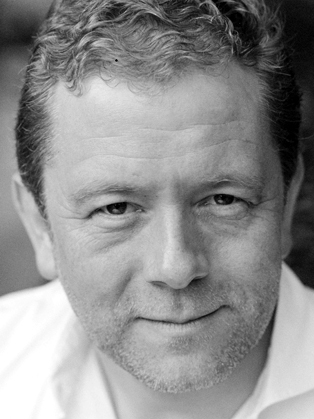 Jon’s other television credits include Headcases (ITV1), In My Life – Jon Culshaw (Biog channel) 2DTV (ITV1), Little Britain (BBC1), Jonathan Ross Salutes Dads Army (BBC1), Happy Birthday Brucie! (BBC1), Friday Night with Jonathan Ross (BBC1), Parkinson (BBC and ITV1), Daily Politics Show (BBC2), Doctor Who Confidential (BBC3), The Sky at Night 50th Anniversary Edition (BBC1), Mock The Week (BBC2), Comic Aid Live and Uncut (Ch.4), The Royal Variety Performance (BBC and ITV1), Are you Smarter than a 10 Year Old (Sky One), Celebrity Mastermind (BBC1), Never Mind the Buzzcocks (BBC2), Peter Cook, A Posthumous Tribute (BBC1), The Secret Policeman’s Ball (Ch.4) and Spitting Image where he provided the voices to over forty characters. As an actor, Jon has guest starred in Hotel Babylon (BBC1), Heartbeat (ITV1) and has filmed a one-off comedy drama for the BBC called Kombat Opera Presents. Jon has also made his film debut playing our former Prime Minister, Tony Blair, in the movie Churchill: The Hollywood Years. Jon is always in demand to host various Awards Ceremonies, and was honoured to host both the 2003 and 2004 Golden Rose Television Awards in Montreux and Lucerne, The BAFTA Television Craft Awards in 2005 and 2006 and the TV Channel of the Year Awards in Edinburgh. Jon first made international headlines by calling the switchboard of no. 10 Downing Street after fooling the operators with his 'William Hague' impression. He then found he was talking directly to former Prime Minster, Tony Blair, live on London's Capital FM, from 10 Downing Street. The incident was later reported in Hansard!